Customer service was great in that they were trying to coordinate three of us coming from two different countries. The tour itself was outstanding. Sicily is beautiful. The culture and history is so rich. Two years ago I went on another Italy tour and met Carolynn from South Carolina and Janet from England. We've been friends ever since and met in Vegas earlier this year. Great Trip Highly Recommend, so much different from Italy! This was my 5th Collette tour and I absolutely loved my experience in Sicily. Great Hotel Locations and service. A well put together Itinerary, lots of great experiences especially the Farm visit. Yes I would use them again. Good price, hotels, guides, tour managers ...some place visited though were not that great. I enjoyed seeing Mt. Aetna although it was very windy and cold. Could have had more time there though. Loved town of Taormina. Collette Europe Tours had door to airport service. I had gate to gate wheelchair service. The great Tour Manager took care of my diet needs, which was very helpful in traveling. T our Manager did such a good job taking care of everyone's needs. I do plan on traveling again with Collette. At the end of the tour we all had dinner at a local café. What a meal and wonderful music. The country side was so beautiful and loved the farm. The Collette tour of Sicily was excellent. We pretty much saw everything one could see, the bus was comfortable, hotels were good, and the food was great. Yes, the tour was great because we saw all the highlights of Sicily and didn't have to drive great distances. The food and hotels were excellent. A unique experience different from Italy! Ease of booking from start to finish! Great communication. Collette always does a fine job, this is our second trip w/Collette in 3 years we took two trips. Super, super, super! Couldn't be better! Well-laid out tour, interesting sites, professional tour manager and guides. It was magical. We can't wait to do another! 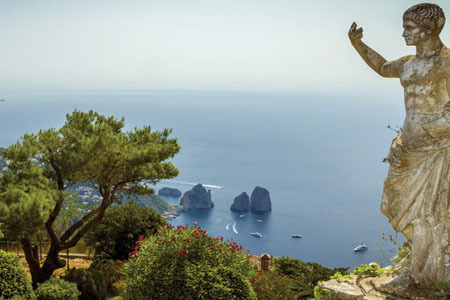 Like most people, we always thought Sicily was just a part of Italy. But we learned it has its own language, culture and history. 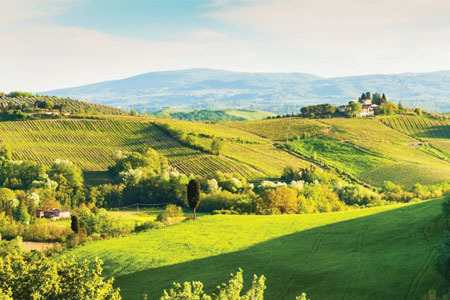 In over 2,700 yrs of recorded civilization, it has only been part of Italy for 150 years. 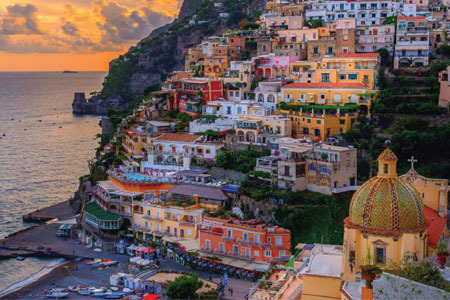 The richness of the separate Sicilian culture made this tour a gem. The excellent experience is due to the phenomenal Collette tour manager Sergio. Secondly, the group was extremely homogeneous and friendly. Thirdly, Taormina is an outstanding place to visit and finally a 2x4 night/location stay was notewoarthy. Service was excellent. This was our third Collette tour. Having Sergio as our tour manager made this tour unforgettable. Most memorable about this tour was the fact that everyone was friendly. Our farewell dinner was outstanding. The tour manager was on top of everything. Each stop was interesting. There were several. This trip included walking on Mt. Etna, a visit to the home of a countess and a demonstration of making cheese. Quite a variety - in addition we saw some phenomenal ancient historical sites. Keep us informed & answered all questions. The tour was full of many beautiful locations. Seeing how the "Natives" live was enjoyable. We even met a Countess. When not on tour with the group you should be given names of things to see and restaurants recommendations. Which shops to go to which are most popular and offer the best value. You fall short in that area. 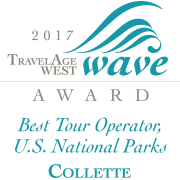 I would highly recommend Collette (have already encouraged a friend, and he has booked a tour), and will definitely be using them again - in fact, I have already booked my next tour with them. Everyone who answers the phone is pleasant, helpful and seems genuinely excited about my trip! They keep their notes up-to-date and work around any concerns I may have regarding flight times, layovers, etc. I don't have a home computer, and they called me with a last minute change to a hotel - for that I'm very appreciative. The tour was fabulous! A good mix of activities (farm visit and lunch, winery, duchess' home, rural artist's estate, fresh cannoli at a rest stop, time for shopping, lots of historic ruins, etc.). The last day was the best - with a visit to and free time in seaside Taormina, and a wonderful dinner with musicians back in Catania. Wanted to give a shout out to Massimo, our driver - the most important person on the tour! I would let him drive my bus anywhere! The tour manager was excellent and his warmth and camaraderie let 34 strangers become friends for the 10 days we were together! Would rather deal directly with the tour company! Having to work through an independent travel agent (Avoya) was not pleasant. The service during the tour by Colette was good. Outstanding tour director and driver. Some interesting day trips such as the cheese farm. Great trip to Mt. Etna. Last minute change of hotel location was a problem. Sicily was beautiful and we had the best tour guide, ******. Taorima was great. I enjoyed having free time in each of our destinations. Our travel guide, Misia, was wonderful and informative. She was put in a difficult position because many of the group members came with their own travel agent, who was difficult to say the least. It did put a damper on our vacation because there was always a conflict at every site visit regarding taxi's, walking, etc. Excursions to the winery, farm, meeting the countess in her home, and botanical gardens in someone's home were outstanding! Farm, winery, countess excursions were a great insight into the personal lives in Sicily. The SW app is really well done and most helpful. Tour Director was very good and all local guides were very good. Great idea to work from only two different hotels (both very good) and to start in Palermo and end in Catania ... the tour seemed to get better everyday with the crowning day outing to Taormina. What a wonderful experience this tour was! Our tour director was very good and we had a wonderful group of people on the tour, all American and from coast to coast. 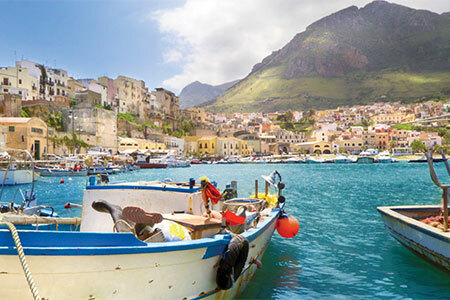 If you are ever considering going to Sicily ... DO SO! It is a stunningly beautiful island, the people are warm and friendly and the food and wines are truly memorable ... we are both carrying the extra pounds to prove it. LOVED EXTRA TRIP TO MT EDNA, WISH WE HAD MORE TIEM THERE. Tour was well communicated and planned. Tour guides were knowledgeable and helpful which made the experience a great one. Had a great time with so many wonderful experiences. The accommodations, primary guide (Brice), local guides, bus driver Mario), places of interest, including Visit With The Countess, the Sicilian Farm, optional excursions and farewell dinner were exceptional. The number of people in our tour and the use of personal ear phones contributed to our favorable experience. The weather was perfect but Collette does not get credit for that. See above answer in #1 "Your Experience"
This was our third experience travelling with Collette and expected the same excellent travelling adventure. We were slightly disappointed on two fronts. The first was the quality of the group meals on two or three occasions at the hotels or local restaurants. We believe that time should have been spent finding quality restaurants because quite frankly, drinking warm red wine and trying to eat poor quality meals was disappointing. Secondly, people travelling with Collette are on average older people and need more time in the morning after breakfast to not only get ready for the activities planned for that day, but to have time to go the washroom. Later departures is probably the only alternative because the restaurants did not open earlier even though we had early departures. Our digestive systems was still trying to adapt after a long trip. Our overall experience is good and the guide did her best to leave us with everlasting memories. Visiting and eating a good meal at a farm and a vineyard. 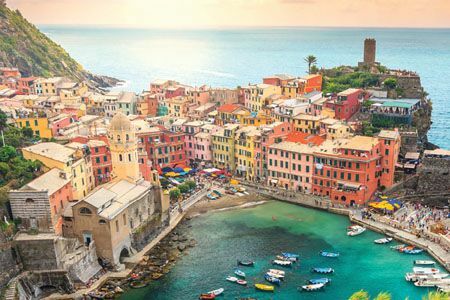 Delve into the fascinating mosaic that is Sicily by exploring this beautiful Mediterranean island on a grand tour of discovery. *The ricotta demonstration may not be available while sheep nurse their young. Our air guests will depart from Catania airport. 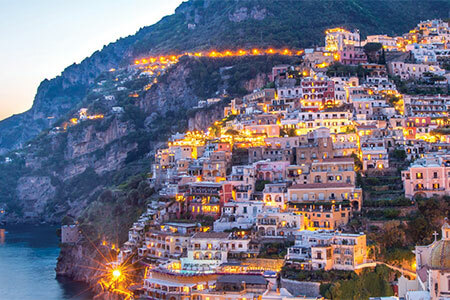 All of our return transfers will depart from Taormina to Catania airport.